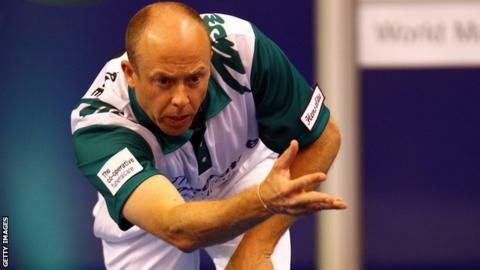 Both home favourites exited at the semi-final stage as Jason Greenslade and Greg Harlow reached the final of the Scottish International Bowls Open. Welshman Greenslade beat Scotsman Stewart Anderson 5-6 8-7 2-0 in their semi-final at the Dewar's Centre in Perth. And Anderson's compatriot Darren Burnett lost 9-9 10-7 to England's Harlow. Greenslade will meet Harlow in Saturday's final. You can watch live coverage of the Scottish International Bowls Open final on BBC Two Scotland and the BBC Sport website.